These are a list of Mii Headgear available for the three Mii Fighters (Mii Brawler, Mii Gunner and Mii Swordfighter) in Super Smash Bros. for Nintendo 3DS / Wii U. These outfits are to customize a player's custom fighter. In total, there are 86 released pieces of headgear, including DLC. For the accompanying outfits one can have their Mii wear, see here. These pieces of headgear are available as soon as players start up their game for the first time. The following pieces of headgear can be unlocked throughout the course of the game, whether by collecting them at random or by fulfilling certain requirements. Some requirements differ between the two versions of the game. The following headgear can be purchased as DLC. Most of them are based off of characters from other franchises. Based on the Majora's Mask from the Zelda game of the same name. Based on the cap Link wears, along with his hairstyle. Comes bundled with his corresponding outfit. Based on the helmet X from the Mega Man X series wears. Comes bundled with his corresponding armor. Based on the helmet Proto Man from the original Mega Man series wears. Comes bundled with his corresponding armor. Based on Dunban's hairstyle from Xenoblade Chronicles. Comes bundled with his corresponding outfit. Comes bundled with the corresponding suit, both of which change appearance based on the Mii's gender. Comes bundled with the corresponding suit. Based on Isabelle from Animal Crossing: New Leaf. Comes bundled with her corresponding outfit. Based on the helmet MegaMan.EXE from the Mega Man Battle Network series wears. Comes bundled with his corresponding armor. Based on the helmet Zero from the Mega Man X series wears. Comes bundled with his corresponding armor. 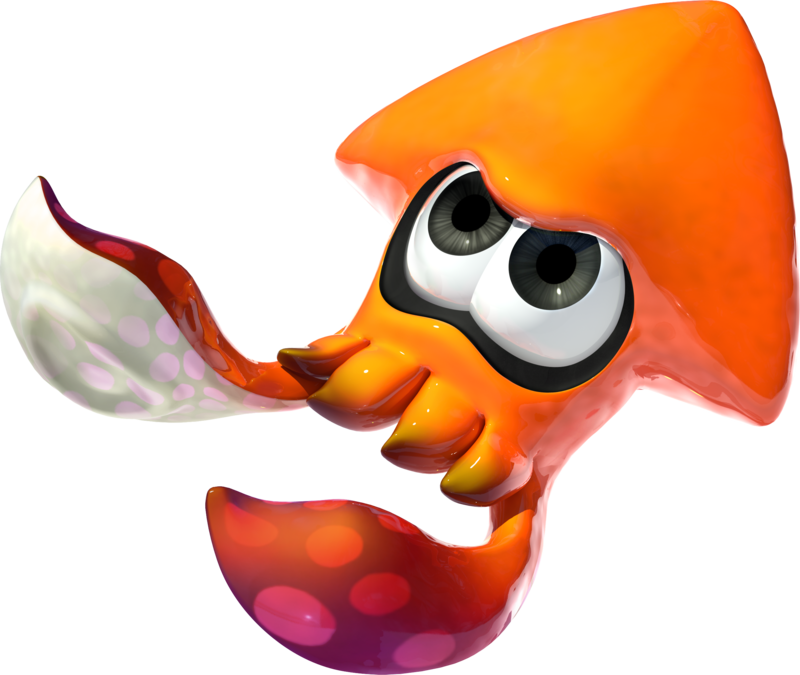 Based on the hairstyles and ears of Inklings from Splatoon, the style of which changes based on the gender of the Mii. Comes bundled with their corresponding outfit. Based on the Squids from Splatoon. Based on Akira Yuki's blocky hairstyle from the first Virtua Fighter game. Comes bundled with his corresponding outfit. Based on Jackie Bryant's hairstyle from the Virtua Fighter series. Comes bundled with his corresponding outfit. Based on Heihachi Mishima's hairstyle from Tekken Tag Tournament 2. Comes bundled with his corresponding outfit. Based on King K. Rool's head and crown from Donkey Kong Country. Comes bundled with his corresponding outfit. Based on the Flying Man's head from the MOTHER series. Comes bundled with his corresponding suit. Based on Chrom's hairstyle from Fire Emblem Awakening. Comes bundled with his corresponding outfit. Based on the helmet the Black Knight wears in Fire Emblem: Path of Radiance. Comes bundled with his corresponding armor. Based on the hairstyle of Lloyd Irving from Tales of Symphonia. Comes bundled with his respective outfit. Based on the helmet Samus Aran wears in the Metroid series. If the helmet isn't unlocked in the main game, the helmet will be unlocked immediately upon purchase. Comes bundled with her corresponding armor. Based on the hat Toad wears in the Mario franchise. Comes bundled with his corresponding outfit. Based on Viridi's hairstyle from Kid Icarus: Uprising. Comes bundled with her respective outfit. Based on the Hunter's Bladeset Armor helmets worn by Monster Hunters from the Monster Hunter series. Comes bundled with the corresponding armor. Based on the Rathalos Blademaster Armor helmets worn by Monster Hunters from the Monster Hunter series. Comes bundled with the corresponding armor. Based on the head and headgear of Fox McCloud from Star Fox 64 3D. Comes bundled with his respective outfit. Based on the helmet Captain Falcon wears in the F-Zero series. If the helmet isn't unlocked in the main game, the helmet will be unlocked immediately upon purchase. Comes bundled with his corresponding outfit. Based on the Chocobo character from the Chocobo series of games. Based on the hat Geno wears in Super Mario RPG: Legend of the Seven Stars. Comes bundled with his corresponding outfit. Comes bundled with its corresponding armor. Based on Ashley's hairstyle from the WarioWare series. Comes bundled with her corresponding outfit. Takamaru's hairstyle, based on his appearance as an Assist Trophy. Comes bundled with his corresponding outfit. Based on Gil's helmet from The Tower of Druaga. Comes bundled with his corresponding armor. Based on Miles "Tails" Prower's head from the Sonic the Hedgehog series. Comes bundle with his corresponding outfit. Based on Knuckles the Echidna's head from the Sonic the Hedgehog series. Comes bundled with his corresponding outfit. This page was last edited on November 6, 2018, at 23:24.